Advertorials: Are New Cigarette Labels Too Graphic? 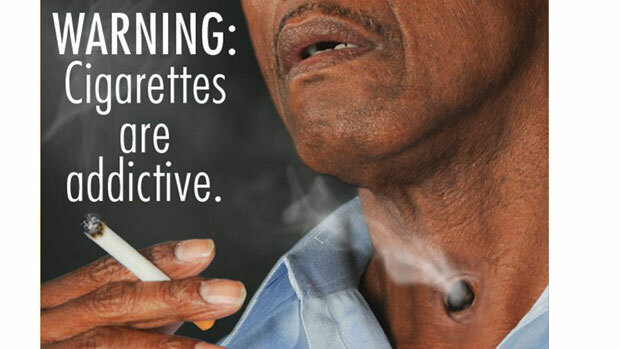 Are New Cigarette Labels Too Graphic? 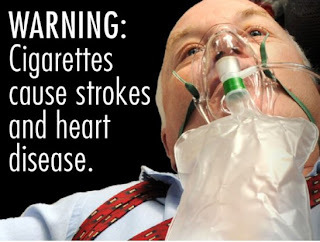 the FDA will require graphic photos on cigarette packs. This headline really grabbed my attention this morning as I stepped outside the door of my hotel room in Dallas. When I took a moment to look at the pictures, I was stunned ... to the point that I actually looked at the newspaper once again to make sure I hadn't picked up The Onion rather than a USA Today. My first reaction was this: Cigarette smokers know full well that every time they take a puff, they are increasing their chances of developing lung cancer ... just like an overweight person knows that repeatedly devouring large quantities of desserts makes them more susceptible to Type II diabetes or a heart patient understands that living a sedentary lifestyle in front of their TV makes them more susceptible to a heart attack. So, why would the FDA open themselves up to a firestorm of controversy and criticism? Which led to my second more thoughtful reaction ... Did the FDA conduct market research to prove that the insertion of graphic visual images on cigarettes deters individuals from smoking? And, of course, the answer is yes. 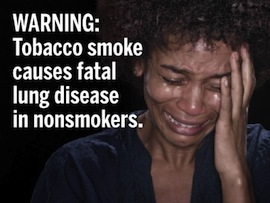 Findings from international research conducted by the Centers for Disease Control and Prevention (CDC) proved that, depending on the country surveyed, as many as 25-50% of smokers believe they would be more likely to quit smoking after viewing these images. While I am quite confident that many smokers will yell "discrimination" when these changes go into effect, if it stops even a handful of young people from picking up their first cigarette and if it takes the "coolness" out of smoking in our nation's schools, this fundamental shift in "truth in labeling" is worth every criticism or snide comment received. Dirt Devil Ad or Exorcist Move Trailer?